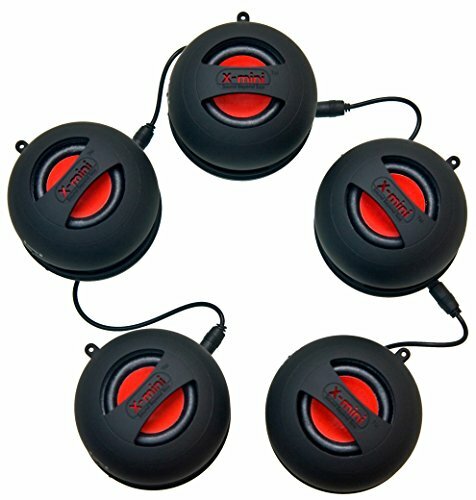 Ever since the X-Mini Capsule Speaker appeared in 2008, we have been completely blown away by the absolutely astounding sound quality and volume that these little gems produce! The X-Mini Capsule Speaker regularly stops customers in their tracks at our retail store, people cannot believe that what they are hearing is eminating from these handy pocket sized units. So when we heard that XMI the company responsible for the X-Mini, was launching a new version, we were suitably excited! We are very glad to report that the X-Mini II doesn't disappoint, again the boffins have succeeded in getting a Quart out of a Pint pot! The first and most recognisable difference with the X-Mini II is that it's slighly larger than the original model. The X-Mini II now boasts a 40mm driver, that delivers an even richer and fuller sound. The X-Mini II now boasts an improved battery life, a staggering 11 hours of continuous playback from just one charge. A brand new feature to the X-Mini II is the "Buddy Jack" system. This allows you to connect one X-Mini II to another and another and... well, you get the picture. Capable of forming a near endless "Daisy Chain". Combine your X-Mini II with your friend's for quite simply jaw dropping audio!